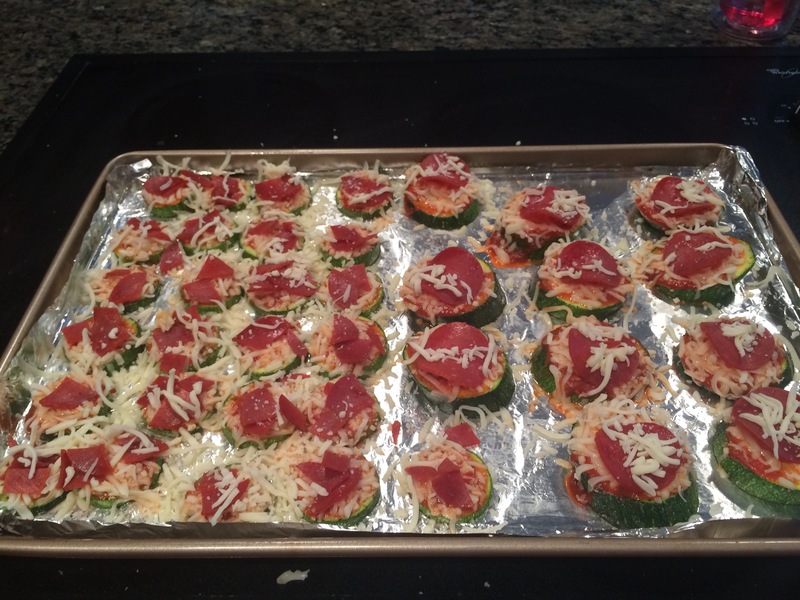 I have been wanting to make these pizza bites ever since my friend Aubrey told me how yummy and easy they were! I kept suggesting them for meals and J didn’t seem super into them. I finally just decided I was going to make them one night and if he didn’t want them he could make a smoothie (he’s super into those these days). I was so excited and got all my stuff out and even took a photo of the ingredients only to discover I had bought.. CUCUMBERS. haha #epicfail. So the next time I went to the grocery store I TRIPLE checked to make sure I was buying zucchini! Pepperoni- I always buy turkey peps because I honestly can’t tell a difference and its healthier. You can top them off with whatever is your favorite! 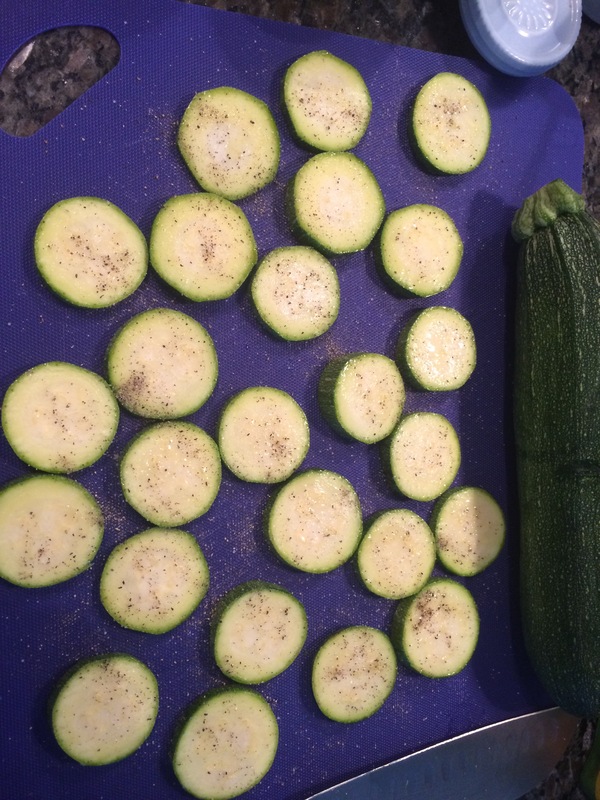 Chop your zucchini into thin slices or you can do slanted chunks (pictured below) I tried both! 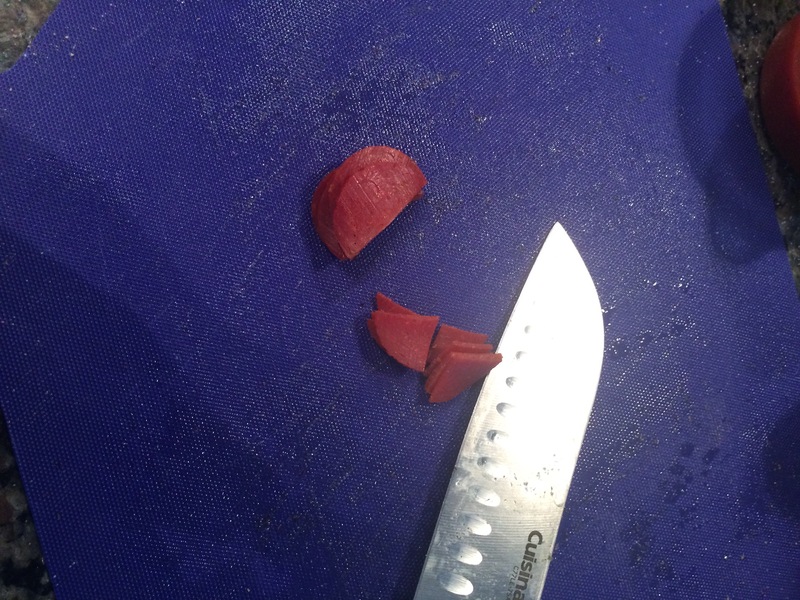 I liked the thin slices best. Then you can either grill them or put them in the broiler, I chose to just broil them. While they were in the oven, I chopped up my pepperonis really small since I was dealing with some pretty tiny pizzas. When they are finished in the oven I hurried and added my sauce, cheese and topping them put them back in for 1-2 minutes so that they cheese would melt. 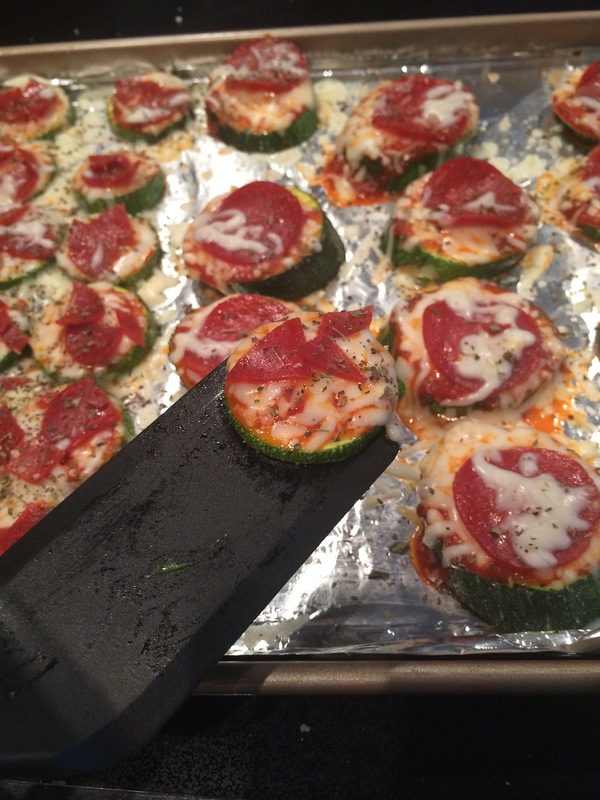 sprinkle them with some basil and then time to eat! We ate ours with a fork. They were a little messy and it was best to eat all the cheese goodness in one bite! 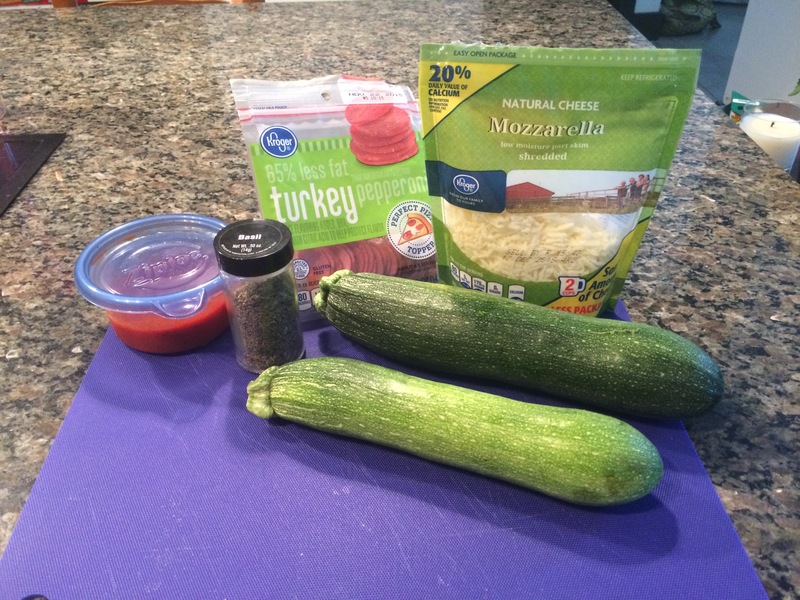 My first of many recipes on this blog! Like I mentioned in my anniversary post I learned how to cook this past year and became comfortable in the kitchen. I do not claim to be some awesome chef I just hope I can help some others learn to cook some easy simple things. If you are like me, I see things on Pinterest and I like to see step by step pictures so I hope these are helpful. 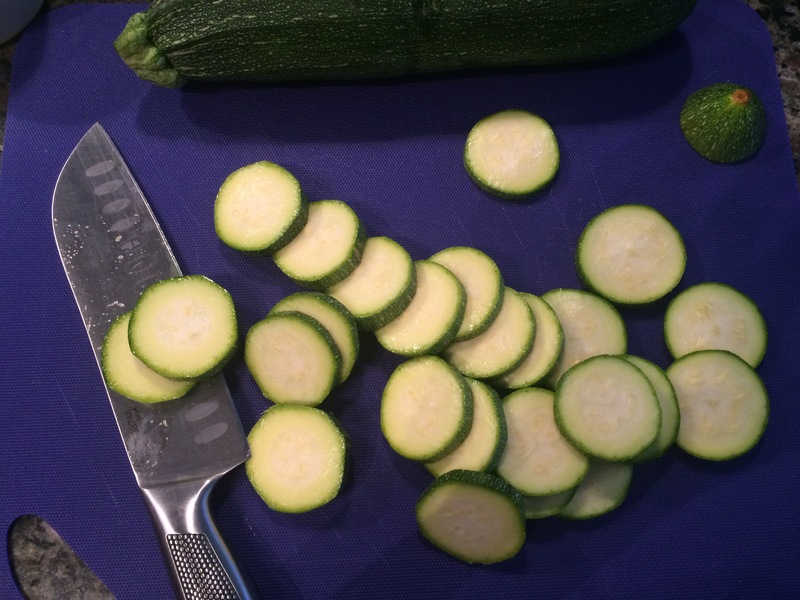 Cut zucchinis into thin rounds. Then spray with olive oil on both side and lightly sprinkle with salt and pepper. 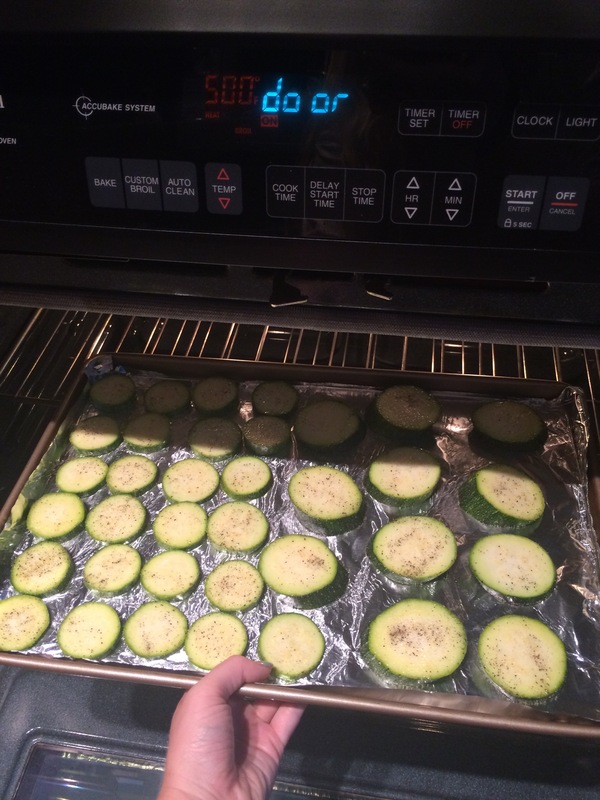 Line a baking sheet with foil and broil the zucchinis for two and a half minutes on each side. Then top with sauce, cheese and topppings. Put baking sheet back into broiler for 1-2 minutes or until cheese is melted, then top with basil. Serve warm. Hmmmm, thanks for the recipe! No problem! Hope you like it! Next Post Are you an introvert?